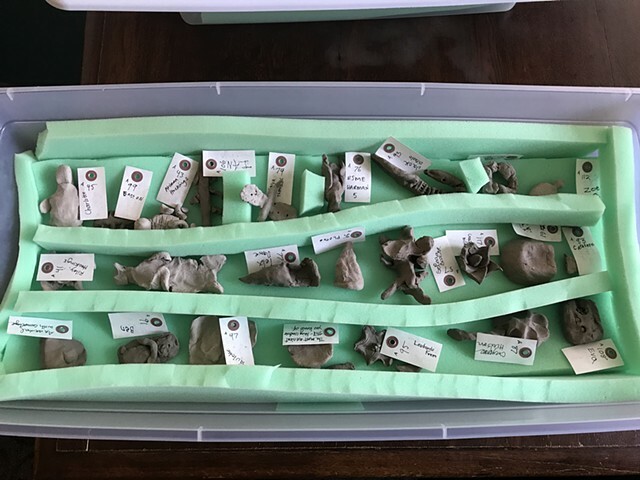 Each time the cart filled up, with all prompts being responded to, the number dispenser was reset to 1, the 100 completed sculptures were unloaded into a series of damp boxes for transport to a kiln, and a new set of 100 specimen tags was written. (The prompts remained the same.) During the residency, the cart was set up three times: the original set of 100, the A set of 100, and the B set of 100. Nearly 300 people participated over several months.